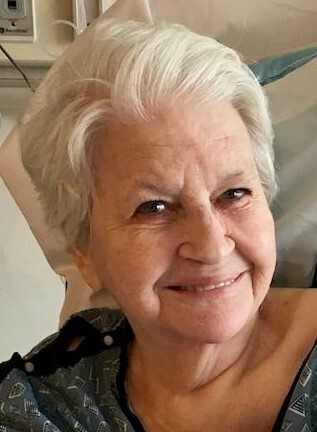 Lillian Blankenship Mann, 84 of Rich Creek, VA went to be with the Lord on February 11, 2019 at Heritage Hall Nursing Facility in Rich Creek. Lillian was born on January 3, 1935 to the late James Jefferson Blankenship and Stella Minnie Young Blankenship. Besides her parents, she was preceded in death by her late husband, William Janey, three brothers, Stephen Edmond Blankenship, William David Blankenship, James J. Blankenship, two sisters, Clara Evelyn Tiller, Anna B. Gordon, her son, William Glen Janey and a great grandson, Leopold (Leo) William Musser. Lillian was a 1954 graduate of the Narrows High School, she worked as a secretary at VA Tech for a number of years and was a loyal member of the W.M.U. at Glen Lyn Baptist Church. In Lillian’s own words, “ I want my husband, children, grandchildren, great-grandchildren, and friends to know that I have enjoyed a good life and hope that after a short period of grieving, they all will remember me with love and get on with their lives. I will be in a much better place. My wish for them is that they know our Lord and Savior and try to follow him as closely as they can. I have loved my husband and my children, grandchildren and great-grandchildren so very much!” Lillian is survived by her husband, Jerry E. Mann of Rich Creek, three daughters, Teressa V. Harris of Peterstown, WV, Brenda J. French of Pembroke, Janet J. Wilhelm of Moneta, ten grandchildren, sixteen great-grandchildren and her sister, Mary Moore of Nashua, NH. A celebration of Life will be held Saturday, February 16, 2019 at 11am at the Riffe-Givens Funeral Chapel in Narrows with Pastor Robert Belcher officiating with burial following in the Fairview Cemetery in Narrows. The family will receive friends Friday evening at the Riffe-Givens Funeral Home from 6 – 8 pm. In lieu of flowers, the family requests that donations be made to St. Jude Children’s Research Hospital. The family is being served by Riffe - Givens Funeral Service in Narrows, (540) 726-2442, and online at riffefuneralservice.com.